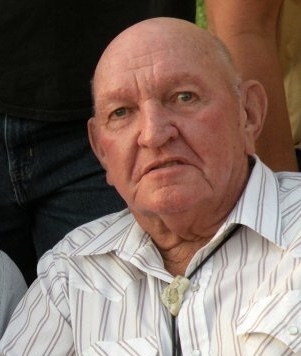 Norman Hoffman Sr, 89 of Paoli, passed away Monday, November 19 at his home, He was born April 24, 1929 in Allegan, MI to parents, Alvin & Elizabeth (Johnson) Hoffman. He married Mavis Lucille Griffith on April 24, 1950. He was retired owner and operator of Hoffman's Grading. He is survived by: wife, Mavis Lucille Hoffman of Paoli; daughters, Margie Ann Hoffman of French Lick & Caroline Louise Cooper of St. Pete, FL; sons- Norman Hoffman Jr. of Elkhart, Claude Alvin Hoffman of Paoli & Virgil Paul Hoffman of French Lick; sisters, Mary Jane Gillson of Holland, MI, Bonnie Hall of Grand Rapids MI & Billie Funk of Grand Rapids, MI; brother, Alvin Jr. Hoffman of Howard CIty, MI; 13 grandchildren & several great and great-great grandchildren. He is preceded in death by parents & sister, Gloria Ann Gries. Visitation will be from 10am-1pm Friday, November 23 at McAdams Mortuary. Funeral will follow at 1pm Friday at the funeral home. Chaplain Kevin Carty will officiate, Burial will be in Paoli Community Cemetery.